For an experienced insulation company that serves Alpharetta, Georgia, and all surrounding cities, make the smart decision and turn to Arango Insulation. We are a family-owned and -operated business that has provided homeowners throughout the Peach State with superior products, top-notch craftsmanship, and outstanding customer service for more than a decade. As a result, you can rest assured we have the knowledge and skills necessary to ensure your house will be well-insulated. 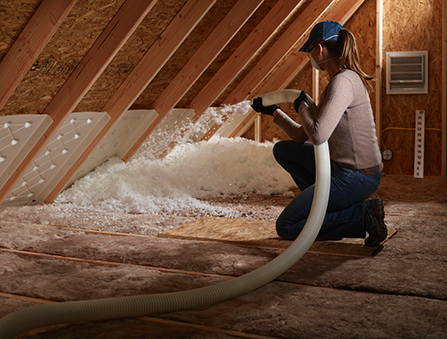 Whether you are looking to add spray foam, radiant barrier, blown-in, or virtually any other insulation type to your Alpharetta, GA, home, we have the high-performance products you need from the brands you trust most – companies like Guardian, Icynene, Johns Manville, and Owens Corning. And, because we employ only highly trained technicians with years of industry experience, you can rest easy knowing your new insulation will be installed properly and for maximum energy efficiency. Regardless of the insulating materials you choose or where you have them installed, your complete satisfaction is our highest priority, as reflected by our A+ rating with the Better Business Bureau. For this reason, we back all work we perform with a one-year installation warranty. To find out more about the insulating materials we offer and the contractor services we provide in support of them, please contact Arango Insulation today. We proudly serve all Alpharetta, GA, area homeowners.